As the end of the semester gets closer so does the specter of anxiety and you will want to know how to beat end of the semester stress and blues. Students realize that maybe there has been a bit too much play and not enough work done. Or, they realize that they have not been racking up the grades they needed in papers or quizzes to carry them to the much sought after A. Or they realize that 25% of the grade will come from class participation and they have been fiddling with an electronic device instead of engaging in class discussion. Or, they realize that three final papers are due on the same day and each is worth 50% of the grade for each course. I have seen students literally go into hiding when faced with this end of the semester stress. They literally have the blues. They feel overwhelmed or defeated and they need to know how to beat end of the semester stress and blues. This is time to take stock of the situation and get serious about strategies. It is absolutely not the time to go into hiding. Indeed one of the first things to do before Thanksgiving is to make appointments with all your professors to talk about where you are in each class. It may not be as bad as you think. You may be able to work out a game plan with the professor to have him/her read drafts of your papers to keep you on schedule. They may offer other insights into what will bring up your grade in that particular class. That can go a long way to relieve the end of the semester stress and blues. You should look now at the college calendar to see when the last day to drop a class is. But do not drop any classes without talking to your advisor. You could end up impacting your financial aid or delaying your graduation. The advisor will let you know what the pros and cons are of dropping a class. You should absolutely look at your calendar and make a plan for every day between now and the end of the term. It has to have time in it for study, research, doing drafts of papers and sharing them with the writing center or professors. But it also should have time for the gym or whatever else will reduce your stress in a healthy way—yoga, long walks, meditation, or music. By having a plan, you will quickly discover how to beat end of the semester stress and blues. Making a plan also means doing an outline of every paper you have to do, and going to the library to ask for support in finding source material. The writing center can help you frame your outline and the logic you need. Once you see the flow of the papers the work seems more manageable. Similarly, finding a tutor for courses where you have had trouble understanding concepts that will be essential to pass tests is a good plan to engage now. The library, writing center and tutoring centers are all lifelines to help you avoid the end of the semester stress and blues. If the blues are really hitting you hard and you can’t seem to get moving at all then you may need some professional help. The good news is that campuses have help at hand. You can sign up for confidential counseling and not even your advisor, dean or parents need to know. If the situation is serious they may suggest a leave of absence. That is a far better thing to do than just dropping out or walking away from school where you have already invested so much time and especially money. A leave buys you time and gives you a plan to get back on track and return to school in good standing. Sometimes the end of the semester stress and blues are an indicator of bigger issues you may be facing and a trained counselor can help sort that out. If you are overwhelmed because your work is all piled up and there is no way you can get it done – perhaps you have had other personal or family issues during the term that have gotten you off course—then you can also talk to professors about taking an incomplete. That means that a paper or exam or project can be delayed for a semester based on a plan built and agreed upon (usually in writing) by you and your professor. But there has to be a good reason for doing this. On the other hand, it is a terrific way to allay the end of the semester stress and blues. Understanding how to beat end of the semester stress and blues will help you realize that they are often a function of feeling that you have lost control and can’t achieve your goals. But that’s completely untrue. There are resources, people and strategies on every campus that can help you regain that control and get back on your road to success. The trick is to use them. Remember you have paid for them and they are there for YOU. 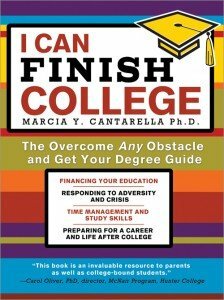 Learn more about Marcia Y. Cantarella, PhD and her book I CAN Finish College: The Overcome Any Obstacle and Get Your Degree Guide at Collegecountdown.com. 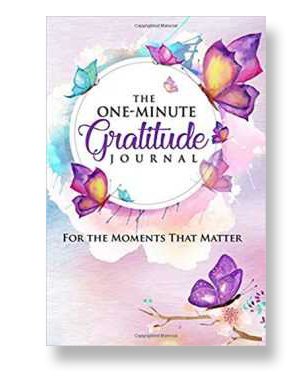 She is a former college dean from Princeton and an expert in how to beat end of the semester stress and blues.